Description: This is the vol. 1 no. 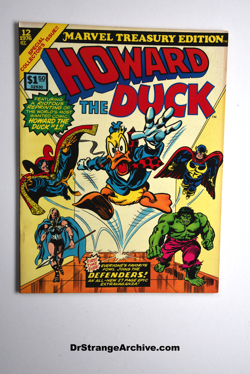 12 Special Collector's Issue Marvel Treasury Edition for Howard the Duck featuring the Defenders. This is basically a giant comic book the size of a large magazine. Its always an interesting story anytime Howard the Duck and Doctor Strange teams up.